Is Water a Human Right or a Commodity? We started off talking about the idea that corporations are buying more and more of our state-owned assets; from prisons to parking meters. Then, for some reason we started talking about water, a life necessity, being sold as a commodity. There is talk in Chicago suggesting that Mayor Daley wants to privatize Chicago’s water system. I told him about Citizen Action to Protect Our Water, a growing grassroots group in Chicago that seeks to stop any water privatization efforts, and he shared some disturbing news with me. Gaddis said that T. Boone Pickens, who has been purchasing water rights in southern parts of America, now owns water rights to over 65 billion gallons of water! I did a quick Google search and found this article on the topic. 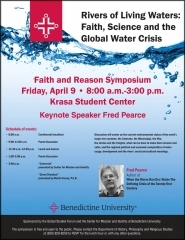 Before we parted ways, Dr. Gaddis invited me to attend a symposium on the topic featuring Fred Pearce, author of the book, When the Rivers Run Dry: Water, the Defining Crisis of the Twenty-First Century. I think it will be a fascinating conversation and I hope all who read this can attend. The event is free and open to the public. Click on the flyer reproduced above for more details. 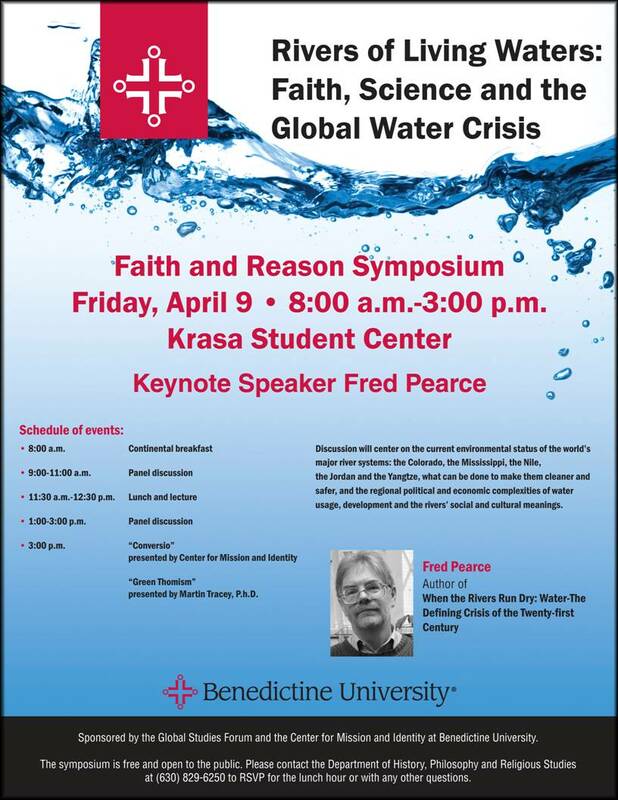 Friday, April 9th, 8:00 a.m. – 3:00 p.m. This entry was posted on Tuesday, March 30th, 2010 at 11:23 pm	and is filed under The Front Page. You can follow any responses to this entry through the RSS 2.0 feed. You can skip to the end and leave a response. Pinging is currently not allowed.